The “great” thing about coal is there is so much of it. But if you are a producer and your home market is drying up, because of the pesky ‘war on coal‘, then you are going to need to export it to other folks. The terrible thing about coal is that it is heavy and dusty and relatively difficult to transport. And for the United States coal industry, getting the stuff from where it is to ships that can sail away to China/India/Japan/wherever is becoming trickier and trickier (to the delight, presumably, of people who own shares in companies with mines in Indonesia, Australia etc). 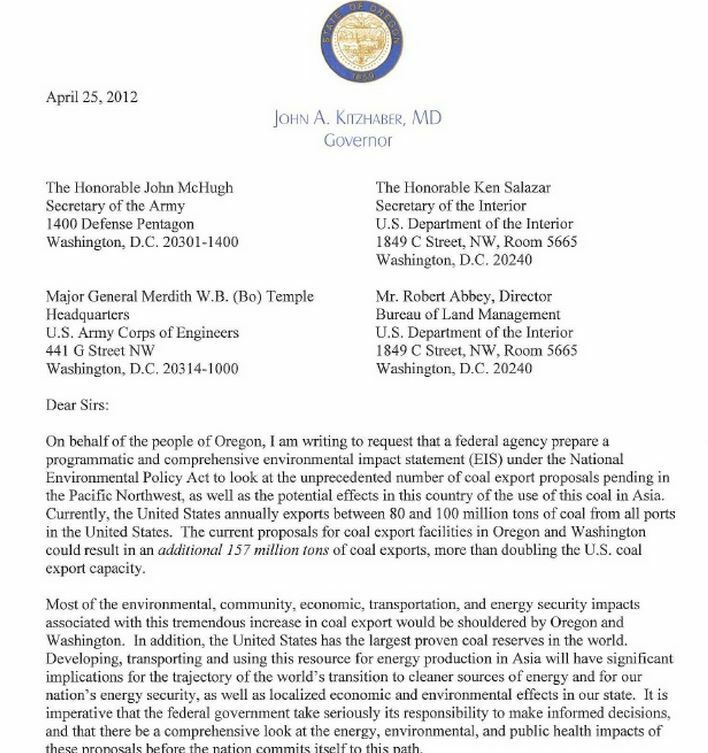 One example of the political pressures militating against increased coal exports is the concern of people and governments on the way to the coast… like, Oregon.